John is on the front lines in New York City. The odds may be stacked against him, but his best friend, Sam, has inexplicably developed a Legacy despite being human—and he isn’t the only one. 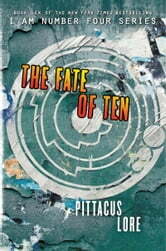 As the pair tracks down Five and Nine amidst the chaos, they encounter another teen with powers. Whether she is a friend or a foe, however, remains to be seen. Meanwhile, Six, Marina, and Adam are trapped in Mexico. They fought their way into the Sanctuary and were able to awaken the force hidden within, but they don’t have any way to reach the others…and the Mogs are coming for them in full force. The Garde are stretched thin. Their only shot at saving the world is to eliminate the Mogadorian leader once and for all—but his fate is now irrevocably tied with Ella’s. The Garde can’t destroy one without the other. And if they can’t find another way to stop the Mogs, humanity will suffer the same fate as the Loric: annihilation. 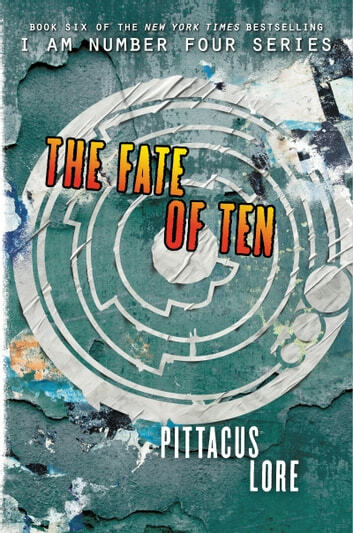 This epic, action-packed science fiction series is perfect for fans of the Fifth Wave series by Rick Yancey, the Maze Runner series by James Dashner, and Orson Scott Card’s Ender’s Game. Still love this series! I can't wait for the next one. Some new and interesting characters. And some new developments that leave you on the edge of your seat! Very good ending you'll be surprised. Many secrets are told and shared and the action is great. This was an exciting chapter, I can't believe Sarah dies. What will happen next. This book is action packed and generally an amazing read. I can't wait to read united as one.